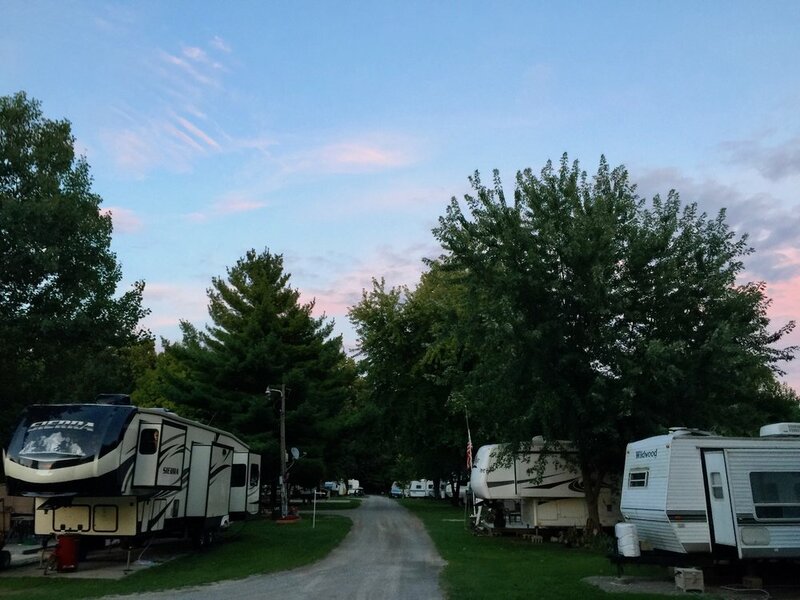 Bluegrass Campground is proud to host both permanent and transient campers and provides a safe, family-friendly environment for all ages. Our community is gated. If you are interested in becoming a permanent camper at Bluegrass Campground, please get in touch. We enjoy meeting prospective permanent campers to tell them about our beautiful park. Our campground is located in the southwestern corner of Oak Openings, close to horse trails, as well as hiking trails. A popular spot with hikers, Bluegrass Campground has everything the backpacker desires: hot showers, a place to charge your phone and GPS, beautiful tent sites, and a pond for an evening dip. Bluegrass Campground is proud of its family-friendly atmosphere. With fun events throughout the summer, be sure to reserve early for Memorial Day, Independence, and Labor Day Weekends. In addition to RV and Tent sites, we also offer three cabins on the property. Click here to learn more about the cabins.